Gluten-free is a term that can be found with increasing frequency in grocery stores on food products, and mentioned in discussions about health. To understand what it means, it is necessary to first define the word “gluten.” Wheat, the wheat/rye hybrid triticale, barley, and rye, all contain a naturally occurring protein that is called gluten. Gluten serves several purposes. When baking, gluten traps gas so that baked goods such as bread will rise and become light and airy. It makes the dough created using wheat-based flour more elastic, and helps make the final baked product more chewy. It is also used as a thickener in some products and may be used to enhance the flavor in some foods. When a person is on a gluten-free diet, he or she only eats foods that do not contain this protein. Because gluten is often found in unexpected items, starting a gluten-free diet is not as easy as it sounds. A gluten-free diet is not necessary, or helpful, for everyone. Celiac disease is one of the main reasons why people turn to a gluten-free diet. With celiac disease, gluten triggers an autoimmune response in the small intestine. As a result, nutrients are not properly absorbed, the person suffers from gastric problems, may have headaches and suffer from fatigue. 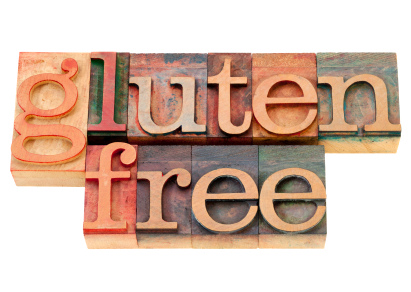 A gluten-free diet is critical in the treatment of this disease. People with celiac disease, however, are not the only ones who are gluten intolerant. Some people may have a gluten sensitivity that is not related to celiac disease, and may need to reduce their gluten intake or follow a gluten-free diet. Non-celiac gluten sensitivity can cause people to suffer from stomach pains after eating wheat or other associated grains. They may also experience bouts of headaches, fatigue and grogginess. In addition to avoiding foods that contain barley, wheat, rye and triticale, people on gluten-free diets should also be aware of other items that contain wheat and/or gluten. Graham flour, bulgur, farina, spelt and seminola all contain gluten and should be avoided when adhering to a gluten-free diet. Unless marked as gluten-free, tortillas, bread, pastries, and cereals will all traditionally have gluten in them. Beer, sauces, oats, gravy, soy sauce, imitation fish, lunch meats, salad dressings, and some candies can also contain gluten. For this reason, people will want to carefully check the labels of foods that they buy and look for items that are clearly labeled gluten-free. Items that can safely be consumed are foods that are made using soy, rice, potato, bean, and corn flours. According to the Mayo Clinic, buckwheat, hominy, millet, rice and flax may all be used as substitutes for wheat. When first switching to this type of diet, people may find it challenging when it comes to baking or cooking. This challenge is two-fold. In one aspect, depending on where one lives and the presence of health food stores, it can be difficult to locate certain pre-made gluten-free items. This is especially true for gourmet or specialty items. Baking is another area that proves challenging for people who are new to gluten-free products. This is because of the way that gluten affects the final results of baked goods. For this reason, people who enjoy baking will need to experiment with gluten-free alternatives to discover the best ways to make the foods that they enjoy. Fortunately, there are numerous recipes available for not only baked goods, but also healthy, gluten-free meals as well.